171. Dasenbrock, Reed Way. 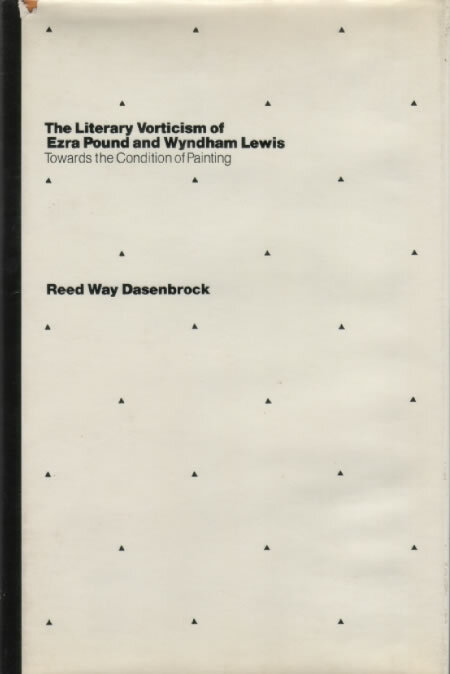 The Literary Vorticism of Ezra Pound & Wyndham Lewis: Towards the Condition of Painting. Baltimore: Johns Hopkins UP, 1985. A chapter on ‘Vortex and Ideogram’ includes as part of a larger discussion of the effects of Fenollosa’s orientalism on Pound’s vorticism an argument that haiku provided Pound ‘support for his view that essence [is] relational’ (see especially pp. 108-13); a chapter on ‘The Cantos in the Context of Vorticism’ suggests that Pound worked in the early cantos from a principle adopted from haiku, that ‘juxtapositions themselves hold [a] poem together’, but that the method fails in The Cantos because that poem’s materials are ‘far more conceptual’ than the images juxtaposed in Pound’s earlier poetry (see pp. 200-04); later in the same chapter (pp. 224-26) Dasenbrock finds a relation between Pound’s ‘best imagist poems’, which ‘express an intense moment of perception similar to those expressed in haiku’, and The Pisan Cantos (56), which ‘contain one . . . haiku-like moment after another’ (see also 97); but regarding Pound’s equation of literary vorticism with the nô (see 12, 17f, and 87), Dasenbrock finds that The Cantos preceding those written at Pisa owe ‘little of their formal organization to anything found in the Nô’, and that even in the frequent references to the nô that appear in The Pisan Cantos one finds ‘no particular pattern to Pound’s use of . . . details from the Nô plays’ except that they represent the ‘pattern . . . of reminiscence of the period of approximately 1912-1917’. For lucid counter-argument see 108, 145, 147, 161, 183, 186, 187, 191, 192, 202, and 204.